I am in a forest phase of my life, where soul growth is related to both deep rootedness and profound interconnection. When we enter a forest phase in our lives we enter a period of rooting and a time of potential soul growth. Here it is possible to find what we have been cut off from, to remember once vital aspects of ourselves that required an interdependence with the natural world. We may uncover a wellspring of creativity and Sacred connection that has been hidden for some time underneath the trappings of a busy and overly domesticated life. In this time of recovering my more wild self, my understanding of who I am is expanding to use an ecological lens to discern meaning through interconnected relationships and a deeply presenced place. I find that what is driving my soul growth and understanding of holy mysteries are the questions: How do we be “of a place” once more? How do we become apart of the ecology of a place and of the planet? The answers to these questions come through a growing attunement to the rhythmic seasons of the natural world, and the phases of the wonder-filled sky, which ultimately invite me into insight and knowledge of myself and how I experience God. Irish theologian and philosopher John Scotus Eriugena understood that Christ was revealed through two forms of revelation: scripture and the natural world. He believed that “Christ wears “two shoes” in the world: scripture and nature. Both are necessary to understand the Lord, and at no stage can creation be seen as a separation of things from God.” I want to establish rhythms and personal practices that honor and cultivate richer connections with the interrelated biological and cosmic systems that have meaningfully existed for billions of years as a way to root my sense of self and the Sacred in the very real soil of my daily existence. I want to learn from the sacred scripture of creation. 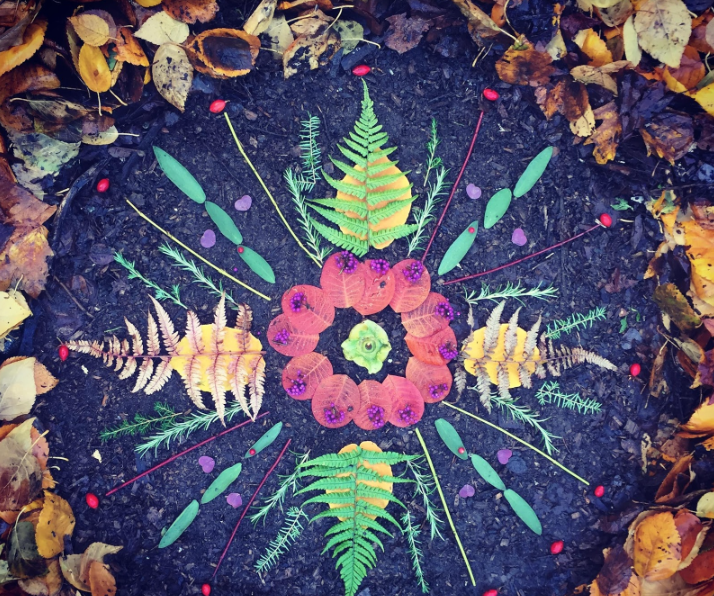 I have started doing monthly nature mandalas as a spiritual practice, as a way of developing a framework for exercising my senses to awaken to the Sacred wisdom that resides within nature. Theophanies, or God-showings-are synchronistic signs that reveal significance and meaning, as well as reveal something of the character of God. 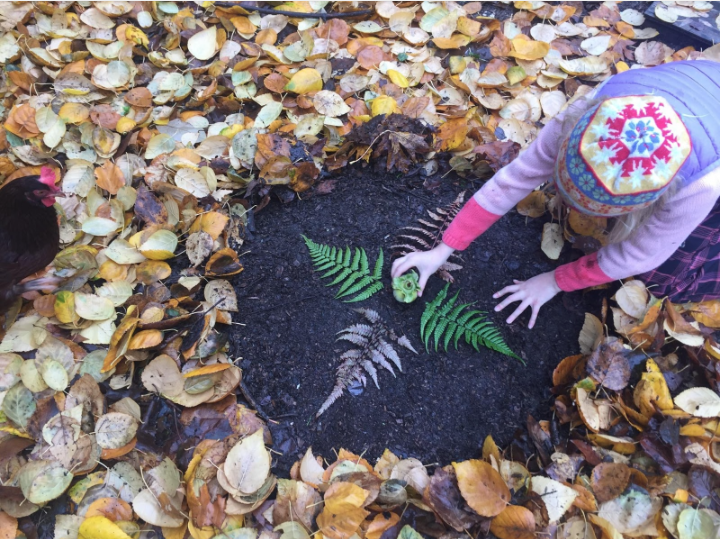 By going outside to co-create a nature mandala, I have sought to develop the capacity to receive Divine symbols and experience the mysterious presence of God within the natural world. 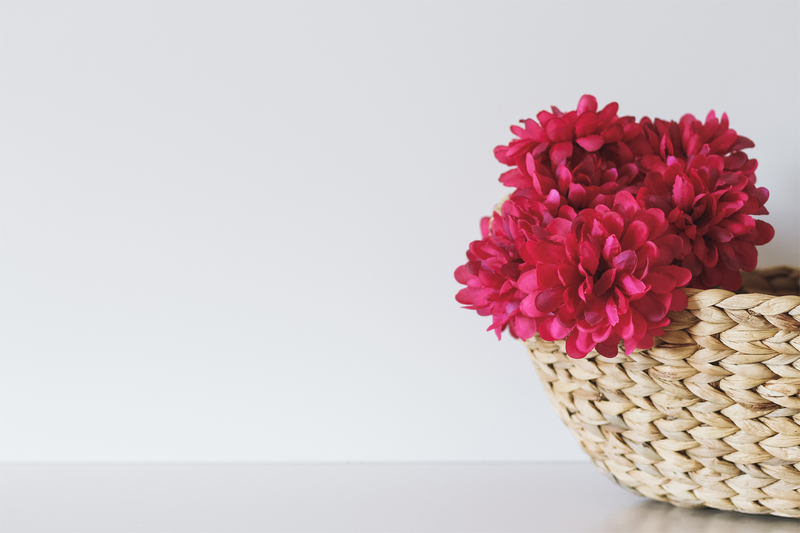 This practice, while relatively easy, has become a way that I attune to who else is residing and growing in my garden. As I slowly walk around my house and neighborhood, I begin to see with fresh eyes the vast biodiversity with whom I live. Celtic Spirituality reminds us of our abiding interconnection with the natural world, and a perspective of God that allows for the Sacred to be completely imminent and within the other-than-human world. This mandala practice aims to provide a structure that supports my spiritual growth while acknowledging that this cannot happen isolated and independently within solely human practices and traditions. Spiritual director Marjorie Thompson maintains that within the patterns of “routine, regular, and repeated” practice one will discover transformation. 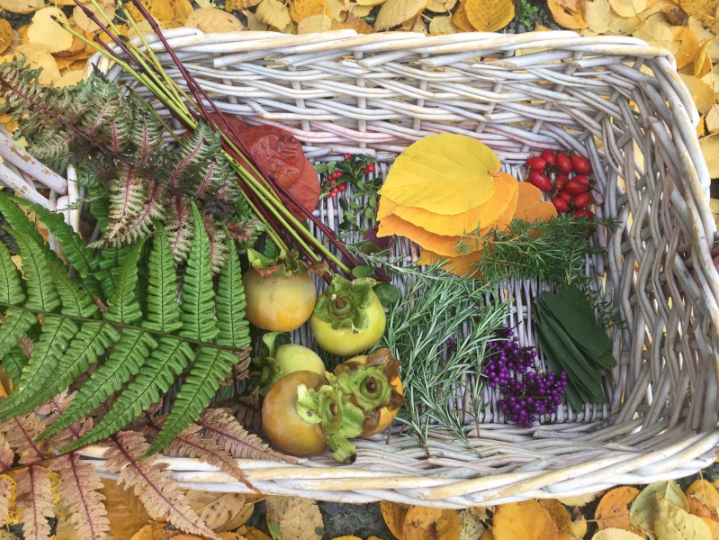 In her words I see the invitation to seasonal rhythms that occur in nature and indeed, that the monthly nature mandala practice is a way that I can continue to grow and form my spiritual life. Our November mandala is complete! 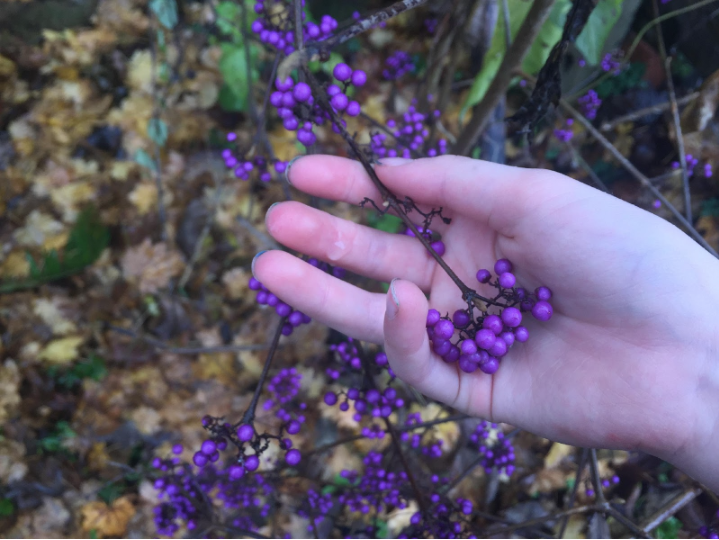 Meditation Monday – Grow Joy This Christmas. this was so, so lovely. I liked the phrase about Christ having “two shoes”–Scripture and nature. I appreciate this nudge to look at nature in all the seasons and see God’s creation revealed.